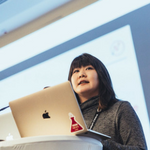 Rina Tsubaki has worked in digital journalism the past 10 years. Having worked for the European Journalism Centre, she has developed and led a number of programmes that connect media with technology and accuracy, including the Verification Handbook, a step-by-step guideline on how to verify user-generated contents during emergencies. She has recently moved to the European Forest Institute, an international science organisation, to bridge the gap between science organisations and media for more accurate digital reporting on climate change. HUTAC event: 2017 Annual HUTAC Conference: The Sharing Society | Workshop: Fake news: how can we identify & respond to the phenomenon?